Diamonds include obvious inclusions that are detectable under 10x magnification and easily visible to the unaided eye. SI diamonds have slight inclusions that are noticeable under 10x magnification and often visible to naked eye. VS diamonds are known to have very slight inclusions that are not visible to the naked eye and can only be seen under magnification. Diamonds with VVS clarity contain very very slight inclusions that are extremely difficult to detect under 10x magnification. These inclusions are not noticeable with the naked eye. The quantity of stones indicated here is for the ring sizes O and above. The amount of stones may decrease when smaller sizes are selected. The given weight information is approximate and based on size V.
D: D diamonds are the finest white and colourless; the rarest colour grades and have the highest value. E: E diamonds are the second highest colour grade in “colourless” scale. 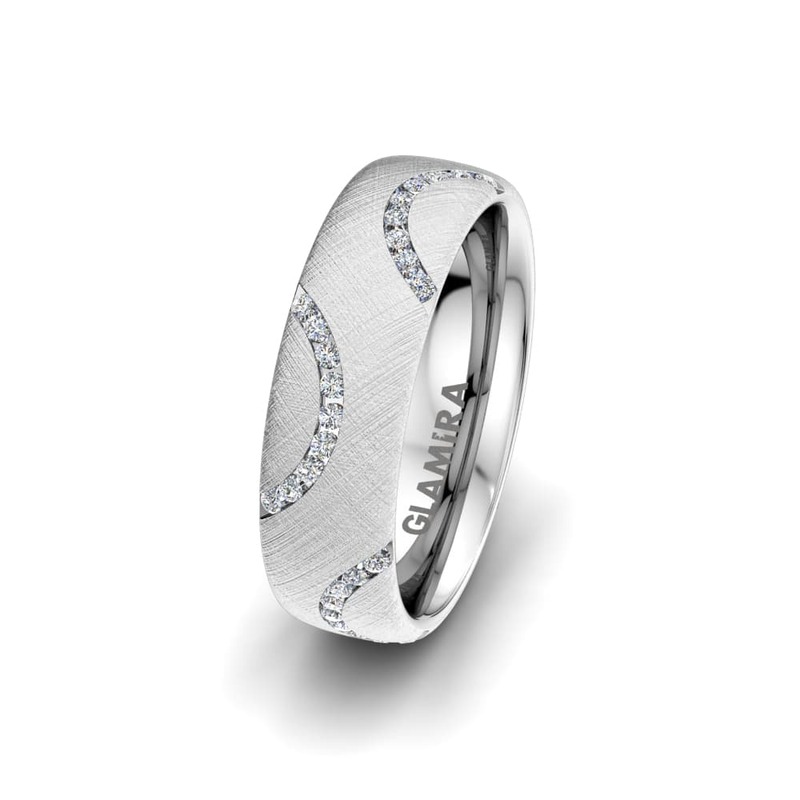 E diamonds are referred as rare white and exceptionally fine. F: F diamonds are on the last grade of “colourless” scale and considered as rare and fine white diamonds. 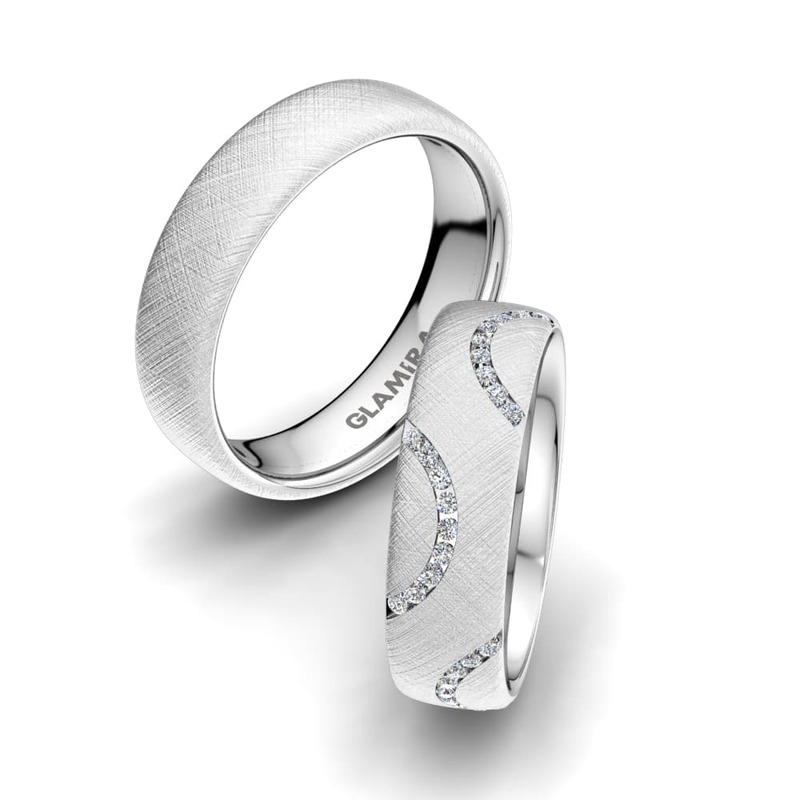 G: G diamonds are on the first place to “near colourless” scale; are very valuable. They contain slight traces of white colour. H: H diamonds are on the “near colourless” scale and slightly coloured. The colour on the H diamonds can only be detected when compared with other colourless diamonds. I: I diamonds are slightly tinted and considered as “near colourless”. The slight colour on the I diamonds may be detected. J: J diamonds are considered as on the last scale of “near colourless” grade. The slight white colour of J diamonds can be detected. K-Z: K-Z grade diamonds are considered as slightly coloured to coloured diamonds; from light yellow to yellow. FL - IF: This clarity scale is considered from flawless to internally flawless. These diamonds do not include any inclusions. 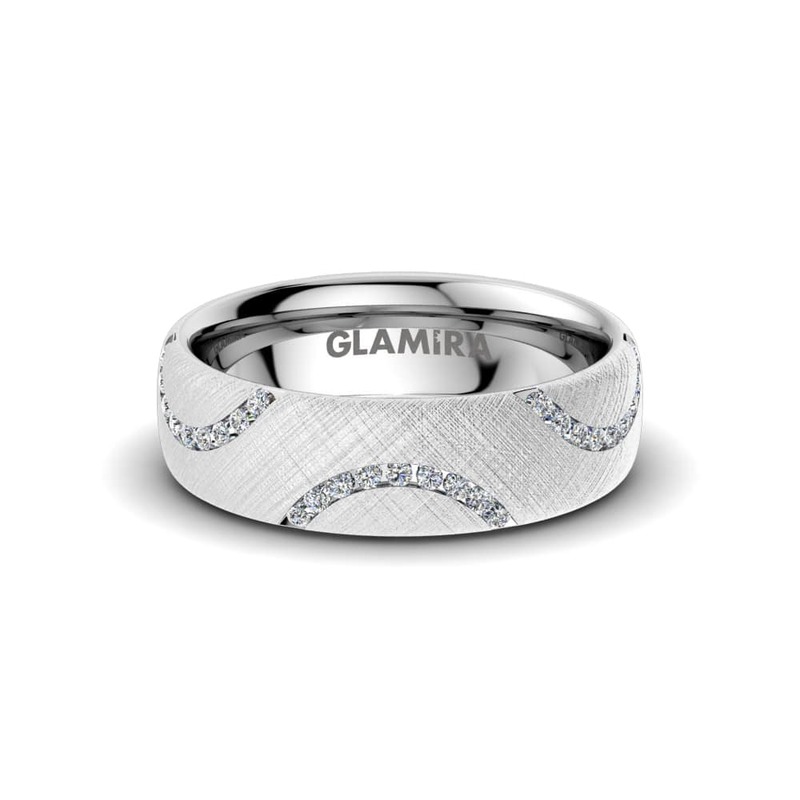 Internally flawless diamonds may only contain faint external blemishes, which is removable by repolishing. Flawless and Internally Flawless diamonds are very rare. VVS1 - VVS2: Diamonds with this clarity may contain very, very slight inclusions, that are extremely hard to detect under 10X magnification mirror and not noticeable with naked-eye. VS1 - VS2: Diamonds with this clarity contain very slight minor inclusions that can be seen under 10X magnification mirror and are not noticeable with naked-eye. SI1 - SI2: Diamonds in this clarity group include slight inclusions that can be detected under 10X magnification mirror. I1: Diamonds contain slight inclusions, are noticeable under graded 10X magnification and visible to the naked-eye under close examination. Excellent: Diamonds in this range are on the top of the all grade settings and very rare due to perfect interaction of its facets and light. These diamonds reflect the light best and sparkle so intensely among all the diamond categories. Good: Diamonds in this range produce slight fire and sparkle comparing to the ideal cut diamonds and deliver slight darkness. Fair : Diamonds in this range reflect limited light and brilliance. The average ring size varies between L1/2-N for women and S-T1/2 for men. 2. 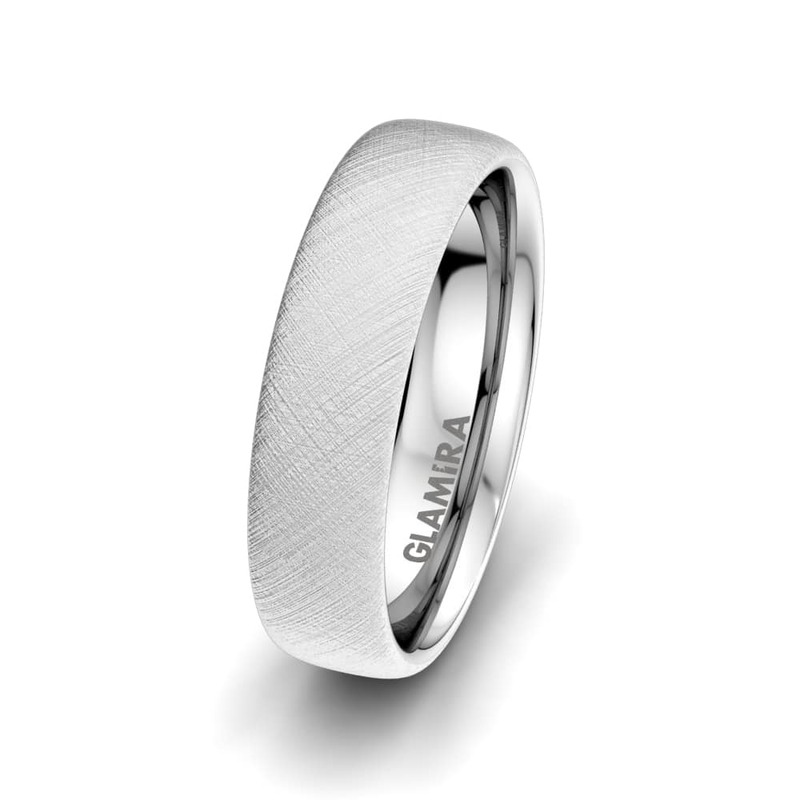 You can order Glamira ring sizer for free by sending an email including your name and your address to service@glamira.co.uk with a subject "Order a ring sizer", or you can fill in the form. You can also contact us at 00 44 800 808 5745.